Companies in LED and display industries are keen on investing in the development of Micro LED displays because this emerging display technology has strong potentials in a wide range of applications and spans across many industries. However, entrants in the Micro LED market still face huge barriers in terms of key technologies and equipment. LED companies have thus turned to Mini LED, of which the manufacturing technology is relatively mature, in order to explore emerging markets on one hand, and to prepare for further progress in Micro LED on the other. NEPCON JAPAN 2019 featured exhibitions and seminars that gave clues as to the latest development of Micro LED and Mini LED. During the trade show, LEDinside summarized displays and presentations made by the following companies. GeneLite focuses on advanced solutions such as Mini Flip Chip, CSP, QD-LED, multi-chip LED module, and Mini LED. The sample Mini LED product showcased by GeneLite at this year’s NEPCON JAPAN was a module containing 2376 Mini LED chips in the size of 0815. Driven at 277μA, the product has a power of 2.6W. Only blue LED modules are demoed in the exhibition this year. 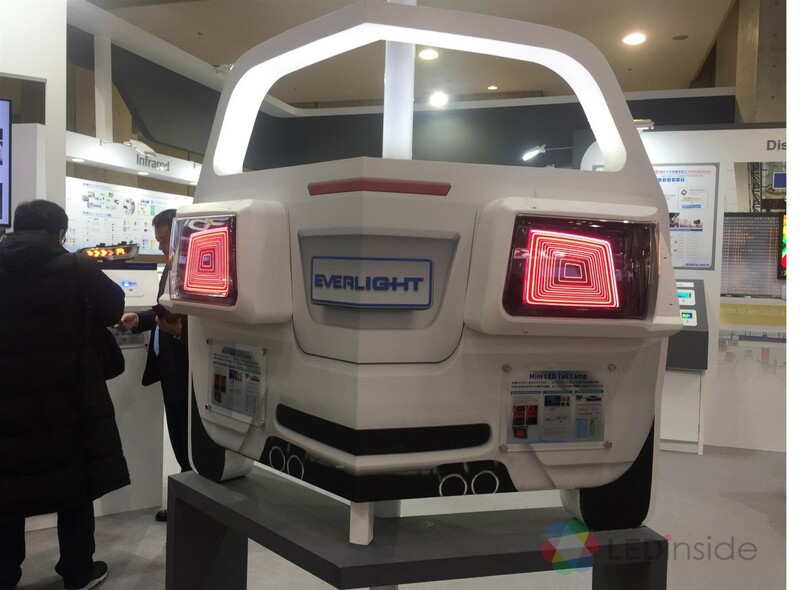 Everlight this year exhibited automotive applications of Mini LED taillights, mainly based on the concept of LED in fine pitch displays. In the taillight modules, Mini LEDs are packaged into the size of 0606 in RGB format, and the pitch in each RGB package is 0.9mm. The displayed module contains about 46,000 RGB packages, with a resolution of 28 PPI and a brightness of 600cd/M2. Atecom Technology is a semiconductor material supplier based in Taiwan. Its main products include silicon ingots, silicon wafers, diffusion wafers, and epitaxial substrates, etc., covering applications in a wide range of fields like semiconductor, compound material, and new energy. 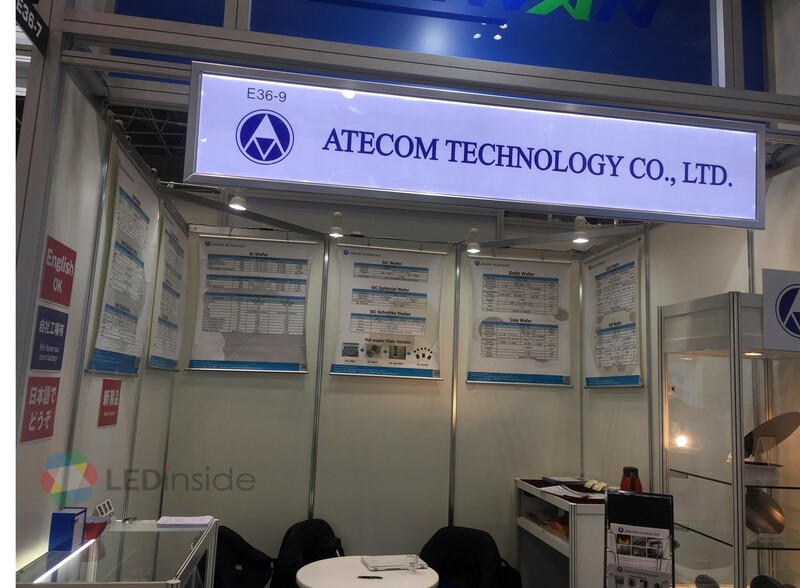 Atecom also has extensive experience in Micro LED epitaxy, especially in terms of the uniformity. 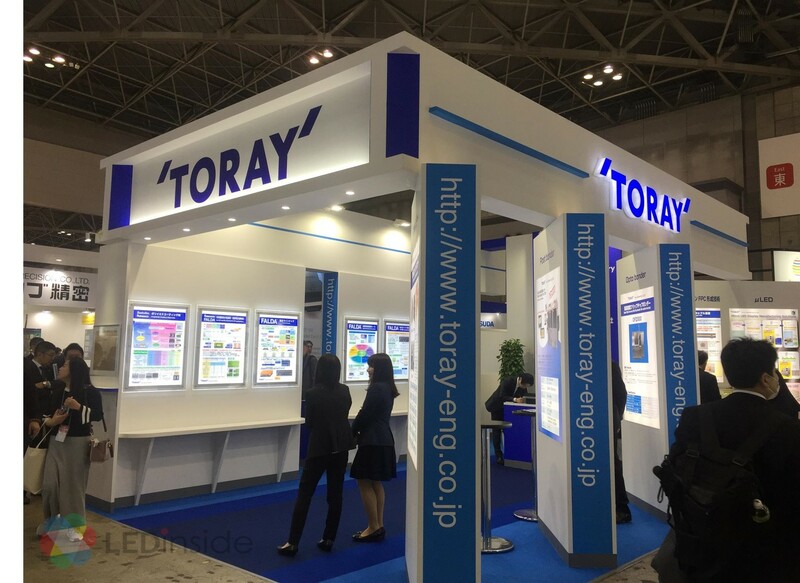 Toray showcased its equipment for Micro LED wafer inspection (photoluminescence), repair and transfer. Using its 3000TR200 products, the inspection systems can detect scratch, crack, or any missing parts. Toray’s Flip Chip Bonder equipment in FC5000MMLseries enables quick mass transfer of Micro LED. Moreover, the laser repair equipment in LMT Series' can remove Micro LEDs with defects using laser, and then selectively transfer good Micro LEDs to complete the repair process. 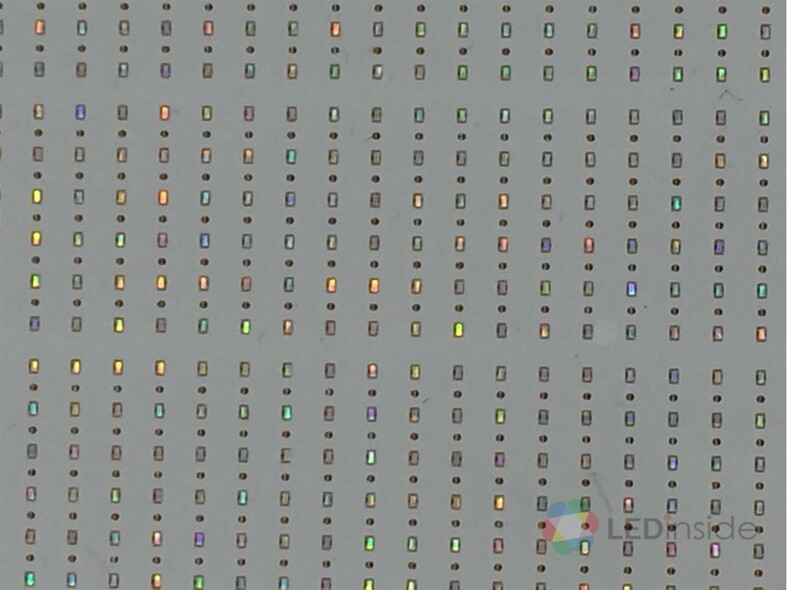 According to LEDinside’s latest report - Micro LED Next-Generation Display Technology Market Report, there are still bottlenecks for the development of Micro LED in the following six aspects, including epitaxy and chips, transfer, full color, power for LED driving, backplane, as well as inspection and repair technology. The fabrication process of Micro LED is more complicated, with precise and strict requirements for raw materials, consumables, equipment, inspection equipment and auxiliary fixtures.